To prevent internal conflict and restore economic and social stability, Turkey must transform in two ways. In 2015, the rising of Rojava, a Kurdish region in Northern Syria, as an autonomous region escalated tensions between Turkey and the Kurdish national movement, in the context of rising authoritarianism. Kurds represent about 13% of Turkey’s population and the ruling government perceives such prospective autonomy within and alongside its border as a threat. The region has discovered that ever-increasing levels of authoritarianism do not deliver peace. A ceasefire between Turkey and the Kurdish PKK rebels had been in place in 2013, with a peace deal near completion. After 2014, however, the civil war in Syria and Kurds rising as important actors in that country aggravated tensions and contributed to rising authoritarianism in Turkey. 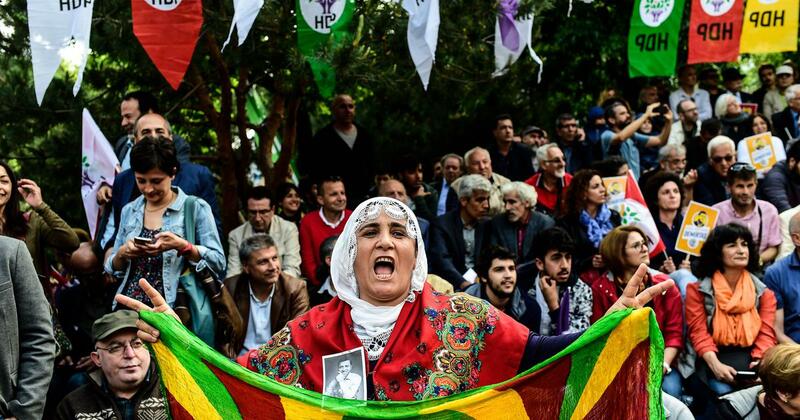 When the Turkish government ended the peace process in 2015, the military wing of the PKK movement called for autonomous self-rule declarations in the Kurdish region, soon adopted by neighbourhood associations, pro-Kurdish political parties and local residents. The central government of Turkey refused to recognise the self-rule declarations, and the militias started to bear arms and prepare a defense. In response, the central government imposed curfews in the urban centers, resulting in violent confrontation between the central state and PKK in Suriçi, Nusaybin, Cizre and others. The 2016 report on urban warfare in Suriçi by HDP, the pro-minority Peoples’ Democratic Party, detailed human-rights violations including incursions into homes, torture and maltreatment, particularly after the June 2015 national election, and suggested that these also contributed to the declarations of autonomy. Starting from August 16, 2015, the state officially declared curfews at least 63 times for either a single day or an indefinite period in various communities in the Kurdish region, according to the Human Rights Association of Turkey. The curfews prohibited movement in more than 30 neighbourhoods and towns, also preventing evacuation of the residents caught between the so-called security operations. An estimated 2,000 people died including civilians, militia members and state security staff. The number of displaced people ranged from 355,000 to 500,000 according to the UN High Commissioner of Human Rights. Human rights violations included gender-based violence, disappearances, and the destruction of homes and cultural monuments. According to the UN human rights report, local, national and international NGOs had trouble accessing the areas of the conflict and monitoring the human rights violations after the conflict ended in March 2016. Some NGO staff members reported state surveillance and harassment, notes the UN report. 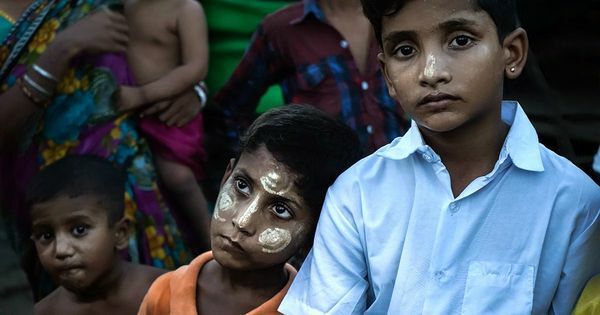 Moreover, the government conditioned assistance for displaced people based on a clean criminal background, according to the local non-government organisations. Such measures complicated assessments of the true levels of destruction in the Kurdish region. Residents also endured the consequences of emergency expropriation decisions by the state. The Council of Ministers expropriated 22 parcels of land in Cizre from three neighbourhoods and 6,292 parcels of land from Suriçi, resulting in relocations, demolitions and lasting demographic changes. An ongoing curfew in the six neighborhoods of Suriçi is now the longest in world history. The emergence of urban warfare must be contextualised within Turkey’s growing political and economic instability since 2015. The urban clashes combined with a failed coup attempt in July 2016, creating an environment in which the AKP government declared emergency rule for two years. Emergency rule helped the government consolidate power through executive orders. After snap elections in June 2018 the AKP government again consolidated and secured its power. Amnesty International reports that, with the consolidation of power, criticism of the government vanished in Turkey, with media and internet restrictions, closures and self-censorship. These political dynamics have added to tensions, posing consequences for the Turkish economy: The unemployment rate exceeds 10%, and foreign direct investment fell from $16.8 billion in 2015 to $12.3 billion in 2016 and $10.9 billion in 2017. More recently, inflation has climbed, and the Turkish lira lost value. In such a political and economic environment, the victims of urban warfare continue to seek justice. Turkey already has the distinction of ranking first among countries convicted for rights violations between 1959 and 2011 by the European Court of Human Rights, and that court has begun hearing cases related to curfews in Turkey in 2015. First, the Turkish state must take necessary institutional steps to create more democratic and inclusionary space for all citizens – including the 72% who are ethnic Turks, the 13% who are Kurds and the 15% who represent other minority groups. This requires addressing the demands of minorities through institutional means rather than military intervention. Restoration of democratic public spaces – based on the principles of deliberation, equality and freedom of speech – could allow for peaceful resolution of the most radical demands and would go a long way in preventing conflicts. Second, Turkey must reconsider organisation of operations for some services. There are various ways to operationalise the state apparatus, as described by political scientists, from highly decentralised to highly centralised. Turkey is an example of a highly centralised state. The country provides critical services such as health and education from the center, with exclusive use of Turkish language, criticised by minorities. The central government could delegate some responsibilities to local government. This would enable local governments to perform certain services with respect to the needs and demands of local citizens, including the use of Turkish and local languages while providing vital services. The central state also has significant power over the local governance and municipalities. Since 2011, the Peace and Solidarity Party, or BDP, has urged more regional autonomy and recognition of the reality of various ethnic identities in Turkey as a roadmap to democracy. Thus, a critical policy intervention would include reconstructing governance mechanisms and delegating select responsibilities to local governance while encouraging participation of local residents. By decentralising the state and increasing participatory democracy, Turkey would recognise the ethnic and cultural differences of its citizens by engaging with them and listening to their demands. This model of governance, by reducing authoritarianism and increasing democratic participation, would contribute to the aim of preventing ethnic conflict and stabilising Turkey.